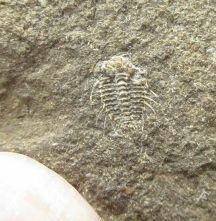 DICANTHASPIS - SILURIAN CZECH REPUBLIC. 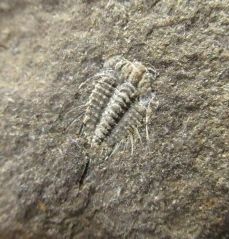 DICANTHASPIS - SILURIAN, CZECH REPUBLIC. 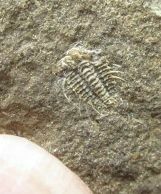 Stunning tiny Odontopleurid. 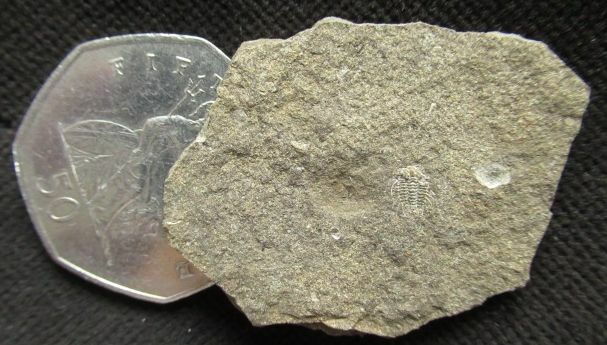 Very spiny. Superb surface detail under magnification. The right librigene has detached and flipped over, otherwise perfect. A little 'gem'. Kosov quarry near Beroun, Czech Republic. 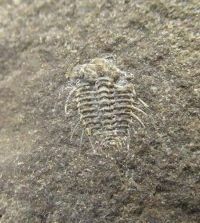 Trilobite : 0.4 cm. long.